At all times the third series of BMW was the best-selling car not only in its class. 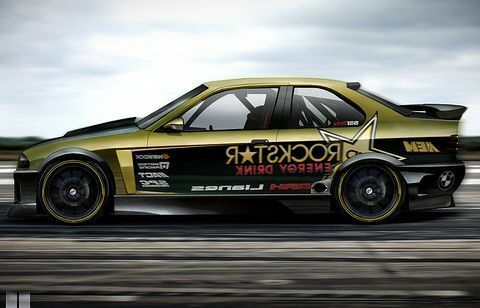 The cars of this brand can be found on the European roads or in the USA, in Australia or Africa.This great popularity has caused mass budget tuning BMW 3 series. External tuning (styling) implies not only the kit, but also a number of other modifications, the standard of which we consider here. Global and costly tinkering with the car, such as turning a coupe into a convertible, etc., here we will not consider. This is a separate large issues. 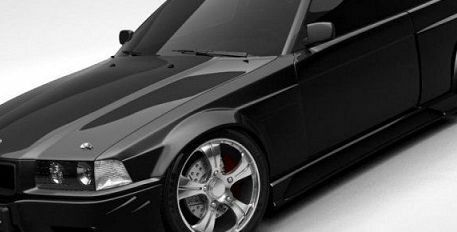 Simple tuning BMW 3 series, which may be limited to only the rear bmw 3 series spoiler will improve the looks of the car. 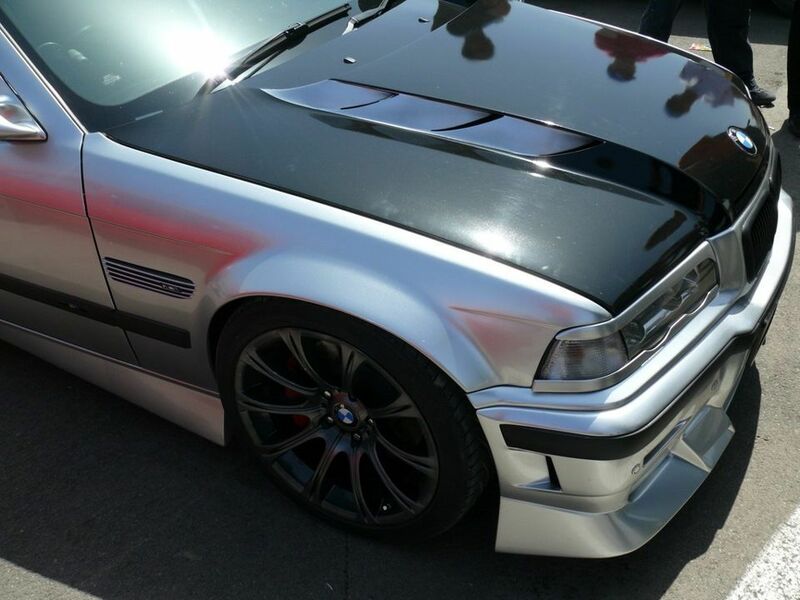 If you approach the choice of e36 spoiler is correct, then it will improve the aerodynamic performance of the body. there are several approaches - a professional, when to replace all body parts at light weight (carbon hood and trunk, and even doors), then installed tested and certified aerodynamic. And the second variant - collective farm garage, when the car hold a shovel at the tail and think it's beautiful. You do the same, pasting on the car "carbon" coating or a homemade bumper. 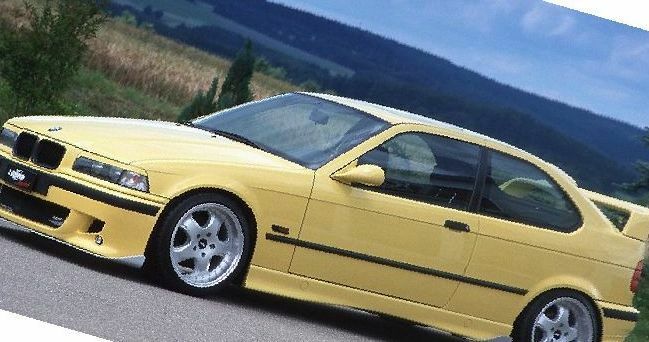 Finished tuning kits for bmw e36 cost under $1000. This is the average price of the standard kit. 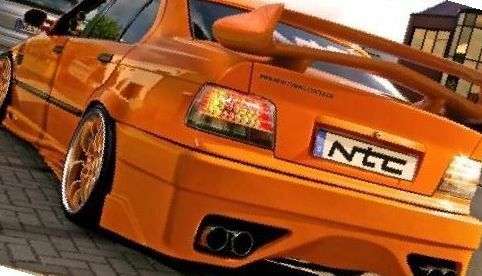 You can take the body kit M-TECHNIC, LUMMA or NTC. In the package will be front and rear bumpers and sills. 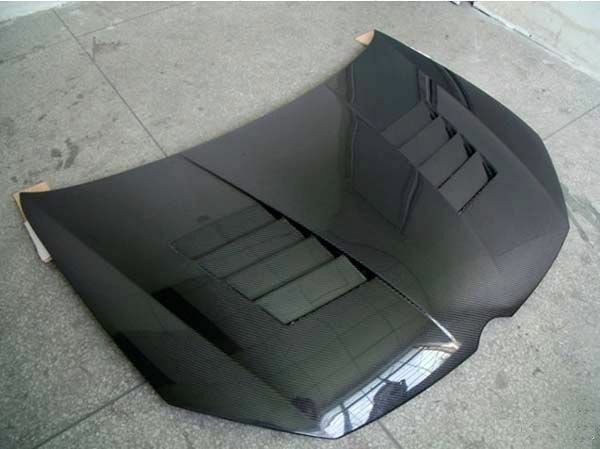 the Two - type coating and tinting film. And a variety of options - from full farm to stunning projects with gradient transitions under the design of the entire car. The cost of this case also differ significantly. It is worth remembering about the ban on tinted - in different countries. Mandatory attribute appearance of any tuned cars. Like it or not, but setting the "right" cast wheels is the easiest and most effective way external tuning of the car. 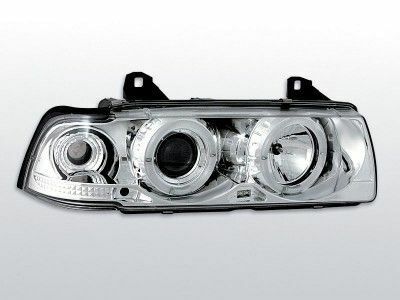 In addition to the external effect, the reduced mass of the entire vehicle and the mass of the rotating parts, which simplifies the task of the engine (better acceleration and lesser fuel consumption). 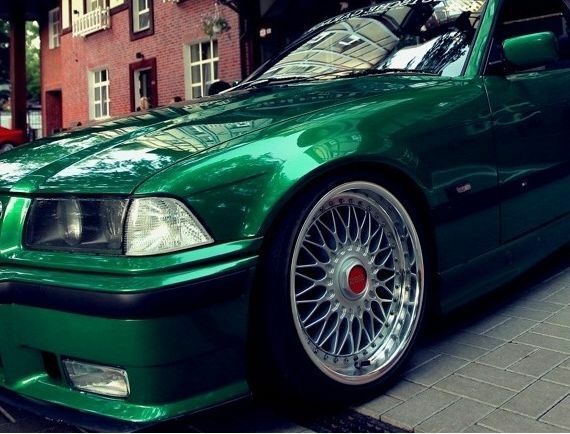 Nice e36 rims is really great external tuning of the car. Low the ground clearance of BMW 3 series is cool, but not practical. Ground clearance in the E36 is configured optimally for the not so good roads and to change it is not recommended. 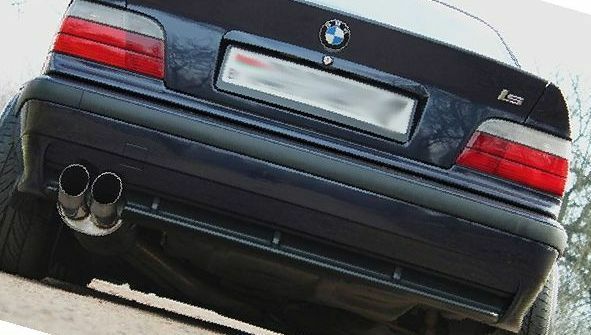 But if there is a strong desire, it is possible to reduce the ground clearance of BMW 3 you can purchase a special suspension - tuning package springs with shock absorbers. 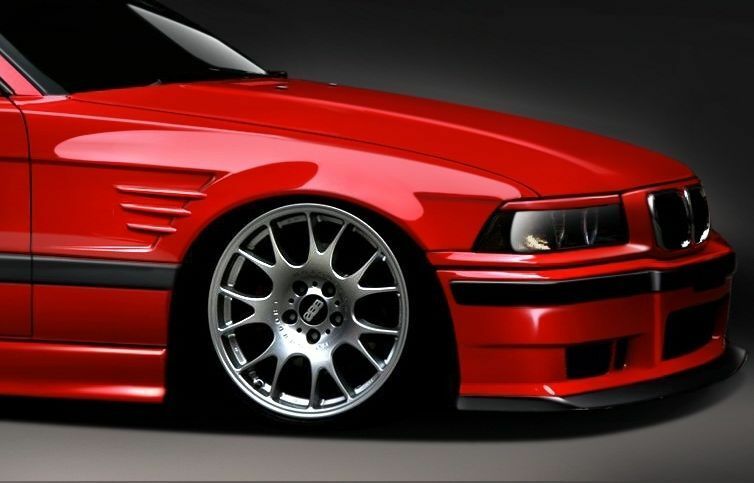 In sports cars often make increased wheel offset, which is required for better handling and stability at high speed. This car is better controlled and less inclined to flips and tilts in the turns. 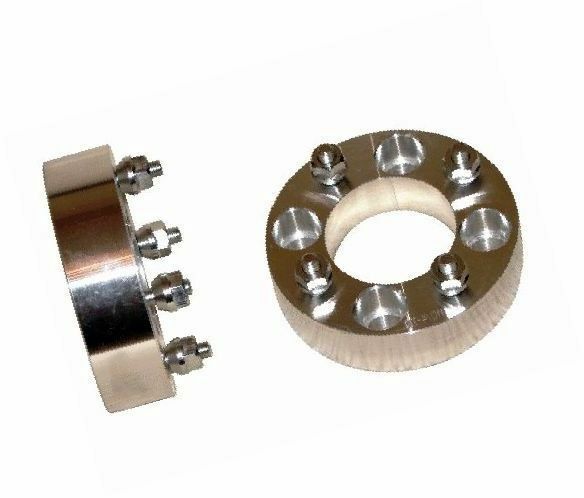 One way of tuning is to use hub spacers, such as the one in the photo. The reverse side of the coin there will be increased wear of the suspension. The second method is to install special alloy wheels. Many drivers affect the handling and safety of their cars, trying to achieve full individual appearance of the car. To do this of course is not worth it. 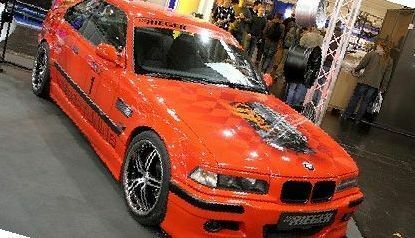 Now the range of parts for tuning BMW E36 is huge. It is necessary to use only quality products from reliable manufacturers.